An osCommerce ™ discounting module allowing vendors to create "buy one, get one" style discounts. Donate: This is free software. Show your appreciation by supporting my efforts. This module is part of the The osCommerce Better Together World. Payment Gateway Integration Note that some payment modules, including PayPal, do not natively work with Order Total discounts (mine or anyone else's). osCommerce 2.2 osCommerce 2.3 These are only suggestions and ideas; actually doing this integration is your responsibility. Installed Cost: $90.00 Buy Professional Installation by That Software Guy. Note that this does not include payment gateway integration - see above. The Better Together Promotional Page allows you to easily display your discounts. It's free! Occasionally, new features are documented prior to being publicly available; please check the version history to ensure the feature you want is available in your version. Configuration: The basic configuration of Better Together involves adding PHP code to the setup() function in the module, as shown below. For people who would prefer not to do this, a Better Together Admin panel is available. Note that you will also see the upselling message on the shopping cart page if you haven't taken the discount (because of Checkout Candy), and if you have taken the discount, you will see it on the shopping cart page (because of Discount Preview). If you don't like the idea of editing files, you can also configure Better Together using the Better Together Admin panel. The add-ons for Better Together are all grouped together on one page called The Better Together World. The Better Together Admin panel (a separate product which is sold as commercial software) allows you to create discounts without needing to edit files. The Better Together Offers on Listing Pages extension displays the marketing text for your Better Together offers on listing pages (Category Listings, Search Results, and Manufacturers). The Better Together Promotional Page allows you to easily display all your Better Together offers on a page which can be reached from the Information sidebox. You may also optionally add an "Add Both to Cart" button to the Promotional page; see the Better Together Promotional Page for details. Other Options Need even more discounting power? Look at Big Spender for osCommerce and Big Chooser for osCommerce. Zen Cart User? This is an osCommerce page. Look at the Better Together for Zen Cart World for Zen Cart help. The gold standard of online retailing is Amazon.com. osCommerce store operators looking to increase their profitability should constantly be asking, "WWAD?" or "What would Amazon do?" When you look at an item in Amazon, not only is a cross selling recommendation made, a discount is offered to persuade the customer to accept the recommendation. This mod permits you to offer this type of discounted cross selling in osCommerce. Discounts may be specified as percentages of the latter item's price or as absolute values in the currency your cart uses. These discount specifications are called "linkages," because they "link" one product or category to another. These linkages are not only used in discount calculations; they are also used to create messages which are automatically displayed on the product_info page. Details on how to do this are provided in marketing. Better Together is an order total module, so in osCommerce 2.2 and 2.3, it appears on the Order Confirmation page of your checkout as a discount, (unless Discount Preview is used, which allows the discount to be shown in the cart). In osCommerce 3.0, discounts are shown on the Shopping Cart page, so Discount Preview is not needed. Please note that Better Together only provides a discount; it does not automatically add items to the cart. This still works, but now another available option is the Better Together Admin panel (a separate module which is sold commercially). Better Together Admin is easy to use and fast - and it's a great way to show your support for Better Together. If you wish to continue editing the setup function, several examples are provided. a number, indicating the discount amount. Let's consider two products: product 5 from category 3, and product 2 from category 1. Want to make it buy product 2, get product 5 free? How about buy one product 2, get one free? Any number of these discounts may be offered; discount computation will be done in the order in which your discounts are specified in setup(), and items will be processed in the order in which they appear in the cart. To get $7 off the second product 5, the customer would need to add a second product 2 to the cart. Obviously these could be very different discounts! The latter says, "buy any item from category three, and get 100% off any other item from category three." The former says, "all items in category three are buy one, get an identical item free." So if a customer bought items 20 and 30 from category three, a discount would only be given in the latter case. The link is created to facilitate the cross-sell. This step is optional; if you prefer, you can add your own cross-selling text. The "category" in add_cat_to_cat(), add_prod_to_cat() add_cat_to_prod() and add_twoforone_cat() may be any of the product's parent categories. In this example, the parent categories of "shirt A" are "Shirts" and "Dress Shirts" (note that "Men's Clothing" is not considered a parent category). For the purposes of computing a Better Together Discount, a product may have many category ids but is considered to only have one product id. Category handling was discussed above and is the same in osCommerce 2.2, 2.3 and 3.0. Product id handling is different in 3.0 because of variants. Product variants are assigned their own product ids, but are linked back to the "master" product via a parent id. The product id used in Quantity Discounts for product variants is the product parent id. So if product 2 has 2 variants, 3 and 4, both 3 and 4 are considered product id 2 for the purposes of counting and exclusion. It then matches conditions from most expensive items to least (top down), and matches discounts from least expensive items to most (bottom up). then this means that product 9 will be the condition, and product 1 will be the item which is discounted 100%. then this means that product 9 will be the condition, and product 5 will be the item which is discounted 100%. Since product 5 is more expensive than product 9, this may not be what you want. Use the same category id in your add_cat_to_cat discounts. If the condition and the discount have the same category, then the price based sorting that Better Together does will ensure the lower priced item will be discounted. Select high value categories (with only high priced items) as your first (condition) category, and lower value categories (with lower priced items) as your second (discount) category. Use Big Chooser, which allows you to enforce this condition on any discount using the condition_price_gte command. These installation instruction are for osCommerce 2.2, 2.3. Click here for osCommerce 3.0 installation instructions. If you already have the Better Together module installed, please deinstall your old copy by going to Admin->Modules->Order Total, selecting "Better Together" and pressing the "Remove" button. Make a note of your settings so you can apply them to the new version. Copy the contents of the unzipped folder to the root directory of your shop. Copy the contents of the unzipped folder to the root directory of your shop. In osCommerce 2.3: Login to admin and go to Modules->Order Total. Click on the "Install Module" button on the upper right. Select the row that says "Better Together." Press the "Install Module" button on the right hand side of the screen. Ensure that the sort order that you have selected for Better Together is not already used by another module. If necessary, change the sort orders of other modules to ensure that Better Together displays where you want it, with a unique sort order. Also, if you are using Re-calculate Tax = Standard, be sure the Tax sort order is larger than the Better Together sort order. Decide on the linkages you wish to use, and add them to the setup() function in catalog/includes/modules/order_total/ot_better_together.php Open a shopping cart in another window to test these discounts. They are shown on the Order Confirmation page of checkout. This means the category id is 11. If you wish, install the Better Together Promotional Page, which displays all your Better Together discounts on one page. Test a transaction and ensure the discount goes all the way through. For PayPal and some other payment methods, you may need to make additional changes, as outlined below in Payment Modules in osCommerce 2.2 and Payment Modules in osCommerce 2.3. Donate! Show your appreciation by supporting my efforts. I highly recommend Discount Preview with all my discounting modules. Without Discount Preview, your customers cannot see the price reductions they are entitled to until the second page of checkout (checkout confirmation). Obviously this is a disadvantage, particularly for new customers who need to go through the additional step of creating an account before they can see this information. Sometimes seeing is believing, so here's a video showing Discount Preview in action. If you don't use embedded taxes, and don't have a mix of taxable and tax-free products, and don't have a different rate of tax for shipping, please skip this section. However, if you any of the above apply to you, please read my Notes on Taxes. Note: This only applies to osCommerce 2.2. For osCommerce 2.3, please click here. If the payment module passes in a subtotal, shipping and tax, modify the subtotal (as shown below) to include the discount. If the payment module passes in a shipping, tax, and total, modify the total (as shown below) to include the discount. In the case of PayPal, turn OFF the sending of line item details, which will confuse PayPal since the total is not the sum of the line items. This can be done through the admin panel by setting Transaction Type to "Aggregate." This would be done in process_button() for example. Another more sophisticated approach would be to execute the order totals and use ot_total, which is the final total after discounts. $ord_totals_query = tep_db_query("select class, value from " . TABLE_ORDERS_TOTAL . // BEGIN : use order_totals['ot_total'] for order total to include all discounts. Note: This only applies to osCommerce 2.3. For osCommerce 2.2, please click here. Some contributed payment modules in osCommerce 2.3 (2.3.1-2.3.3.x) are not naturally aware of the existence of discounts (mine or any other contribution or extension). For this reason, you must ensure any payment module you use takes discounts into account. This is in osC 2.3.3, with no changes made to PayPal. But the final number is correct (and your actual order total figures as shown in osC admin will be correct per the checkout confirmation page). I have seen this work on some carts and not on others depending on mods and settings; please test your own cart carefully. insert the discount computation. Here's an example for Quantity Discounts. Pull in the module and its language file. Then compute the discount and add it in as a line item. For other modules, here are the filenames. The object to be created is the filename without the .php suffix. These installation instructions are for osCommerce 3.0. Click here for osCommerce 2.2 installation instructions. Login to admin and in Modules->Order Total you will see 'Better Together' listed along with all the other modules available. Decide on the linkages you wish to use, and add them to the setup() function in includes/modules/order_total/better_together.php Open a shopping cart in another window to test these discounts. They are shown on the Order Confirmation page of checkout. '.checked;">' . $value['title'] . '</a></td>' . "\n" . '.checked;">' . $value['title'] . '</a>' . '(' . $value['id'] . ')' . If you wish, install the Better Together Promotional Page (which displays all your Better Together discounts on one page). In osCommerce, you must be very careful not to duplicate sort orders in Order Total modules. Check the sort order you have used for Better Together (in Admin->Modules->Order Total), and make sure it's not being used by another Order Total module. If it is, modify the sort orders so they are all unique. Also, if you are using Re-calculate Tax = Standard, be sure the Tax sort order is larger than the Better Together sort order. Not donating often causes problems. Donate! Show your appreciation by supporting my efforts. If you are having trouble installing this module, you should also refer to my Guide to Mod Installation on osCommerce. I'm also happy to install most of my mods for a fee. These examples are from osCommerce 2.2, 2.3. Click here for osCommerce 3.0 marketing text examples. 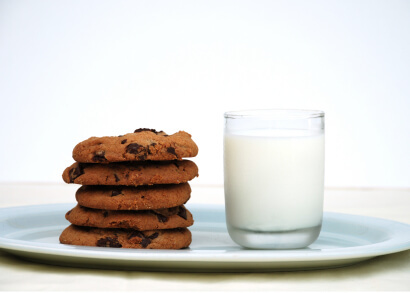 What good is having cross selling and upselling specials if you don't advertise them? Better Together Discounts may be automatically displayed in two places: on the product info page, and on a separate promotional page. We'll talk about the product info page first. The placement of this code is a matter of personal preference; try placing it below the product description and adjust to your tastes. The other available marketing vehicle is the Better Together Discount promotional page. This page is completely optional; it is not included in the Better Together Contribution, but it is a available here. It creates a page that looks like this, displaying all discounts. The Better Together Offers on Listing Pages extension displays the marketing text for your Better Together offers on listing pages such as All Products, Search Results and Manufacturer Pages. These examples are from osCommerce 3.0. Click here for osCommerce 2.2, 2.3 marketing text examples. To adjust the font in the marketing text, simply style the <div> element in which $bt_strings[$i] are displayed. This display is possible with the Better Together Offers on Listing Pages extension. The Better Together Offers on Listing Pages extension displays the marketing text for your Better Together offers on listing pages such as Category Listings, Search Results, and Manufacturers. 1.0.3 09/21/2013 - Updated for osC 2.3.3.3. Q: How do I install this software? A: Installation instructions for osCommerce 2.2, 2.3 are here. Installation instructions for osCommerce 3.0 are here. If you've never installed an osCommerce mod before, please read my Guide to Mod Installation on osCommerce. Q: How do I set up Better Together discounts? A: Decide on the linkages you wish to use, and add them to the setup() function in catalog/includes/modules/order_total/ot_better_together.php ("Linkages" are what "add_prod_to_prod," etc. are called.) Don't want to edit code? Get the Better Together Admin panel. Q: Can I start and stop my Better Together discounts on certain dates in the future? A: Please see Timing Discounts in osCommerce for an explanation of how to do this. The location of this line will depend on how many changes you've made to the file order_total.php. 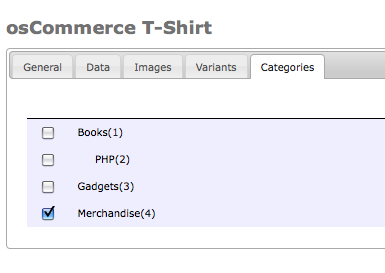 Q: In osCommerce 3.0, why don't I see my changes to includes/languages/en_US/modules/order_total/better_together.xml? A: The strings are actually loaded into the database once only at install time. To import the new strings into your database, go to Admin->Configuration->Languages, check the box next to your language and press the Import button. Select the "Replace All" radio button and press the Import button. You will now see the changes you have made. Q: What else do I have to know about osCommerce 3.0? A: Read Installation for osCommerce 3.0, Marketing Text for osCommerce 3.0, and Variant Handling in osCommerce 3.0. Q: Can I start and stop my Better Together discounts on certain dates? A: Please see the Timing Discounts for an explanation of how to do this. Q: Why do you have to add PHP code to setup()? Why didn't you put this in the Admin panel? A: When I created Better Together, I wanted it to be as flexible as possible, and I focused on functionality, not ease of use. Over time, the demand grew for an admin panel, and when the project got funded, I did it. Creating the Better Together Admin panel was a significant amount of work and represents my main revenue stream for Better Together (the support for which consumes hours of my time every week); please show your support for my software by purchasing it. Q: I would like my discounts to show up in the shopping cart. Why don't they? A: The way the Order Total modules work is that they show up at checkout time. However, if you require the discounts to show up in the shopping cart, you may wish to show your support for Better Together by purchasing the Discount Preview module for $30. Alternately, you may indicate that you have a Better Together discount policy by adding to TEXT_INFORMATION in catalog/includes/languages/english/shopping_cart.php, and inform the user that Better Together discounts will be calculated (and visible) at checkout time. Additionally, changing SUB_TITLE_SUB_TOTAL in the same file to something like 'Sub-Total BEFORE Discount' will emphasize the fact that a discount will be added at checkout time. Q: How can I present my Better Together discounts on the product page? A: Follow the directions in marketing in the installation instructions for details on the changes that are required. A: Add some explanatory text to the discount policy information you created above. This way it will show up every time there is Better Together information on a page. Alternately, you may purchase the Discount Preview module, or you may also add text to the shopping cart page to indicate that Better Together discounts will show up at checkout time as discussed above. Q: OK, I have Better Together specials, but my customers aren't biting. How can I re-enforce the promotion? A: My Checkout Candy module can be configured to show available Better Together discounts both on the Shopping Cart page and on the first page of checkout. Please consider showing your support for Better Together by purchasing this module. Q: I don't want Discount Preview, but I'd still like to make a contribution to show my appreciation for Better Together - how do I do this? A: Click here! All donations are greatly appreciated. Q: What would my setup() look like if I wanted to give 2 for 1 on all items in category 1? Q: What would my setup() look like if I wanted to give 2 for 1 on all items 5, 8, 12, 17 and 31? What about buy one get one half off? As in the previous question, mixing and matching is allowed with these discounts - but since these are specific products, what are the semantics of "mixing and matching?" For example, if you sell sweaters with the attribute "color," then buying a red sweater and a blue sweater would not produce a discount if add_twoforone_prod() were used, but it would if add_prod_to_prod() were used. Q: What would my setup() look like if I wanted to do buy one of item 5, get one from category 2, 7 or 9 at $5 off? Q: What if I want to do offers on all my products? Obviously you could do this for add_twoforone_prod, etc. just as well. Another approach would be to inspect the cart and call add_prod_to_prod (or whatever) on all items in the cart. The downside with this is that the marketing text then wouldn't work. Make managing your discounts easier using the Better Together Admin panel. Big Spender allows you to provide "Better Together" style discounts based on the amount spent. Big Chooser allows you to provide "Better Together" style discounts on more than two items with a variety of configuration mechanisms. Show Better Together discounts on the shopping cart page using Discount Preview (osCommerce 2.2, 2.3 only). The Better Together Offers on Listing Pages extension displays your Better Together offers on all listing pages. Market your Better Together discounts using the Better Together Promotional Page. I charge a fee for each of these extensions. See their help pages or Contact me for details. Copyright © 2003-2019 by Zen Cart Expert That Software Guy, Inc. This page last modified 12/02/18. Built with Bootstrap.